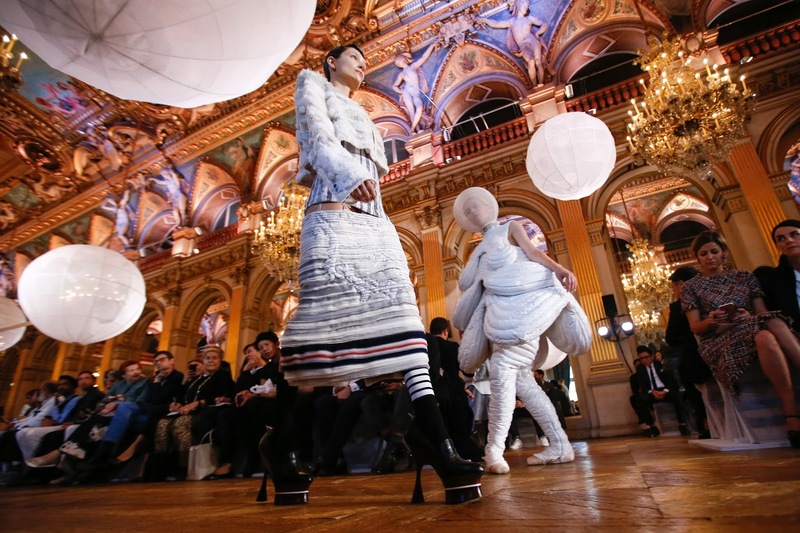 Thom Browne is the latest American fashion brand to move his womenswear collection to Paris Fashion Week. He already presents his menswear there, in January and June. The other American designers to make the move—Rodarte, Altuzarra and Proenza Schouler—wore a distinctive title ‘Americans in Paris’ which became a term of critique more than an observation; the three American designers stood out as Americans, at Paris Fashion Week, where many designers endeavour to end up as it is a week steeped in history and it is also considered the most important of the four. 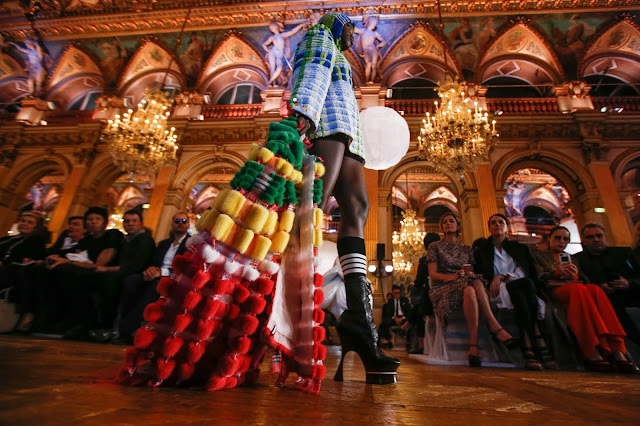 Browne’s presentation at the Hotel de Ville didn’t have the same effect on the viewer, it was a powerful, moving affair but it was entirely in a league of its own, and competing against Chanel, Miu Miu and Louis Vuitton on the last day of Paris Fashion Week, one was awestruck. The worlds of dreams and nightmares collided. There were two asleep at the top of the runway before two more models pirouetted down the catwalk in ballerina shoes. Applied to their bodies were three layers of thick plastic and tulle. They reminded this critic of Louise Bourgeois’ unconventional take on the female body, presenting it in a surreal light. 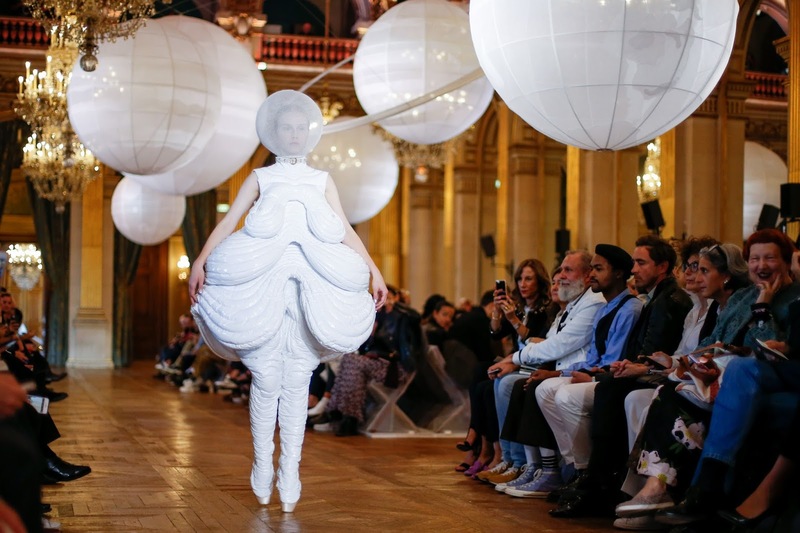 The next model danced monstrously down the runway in greyscale. 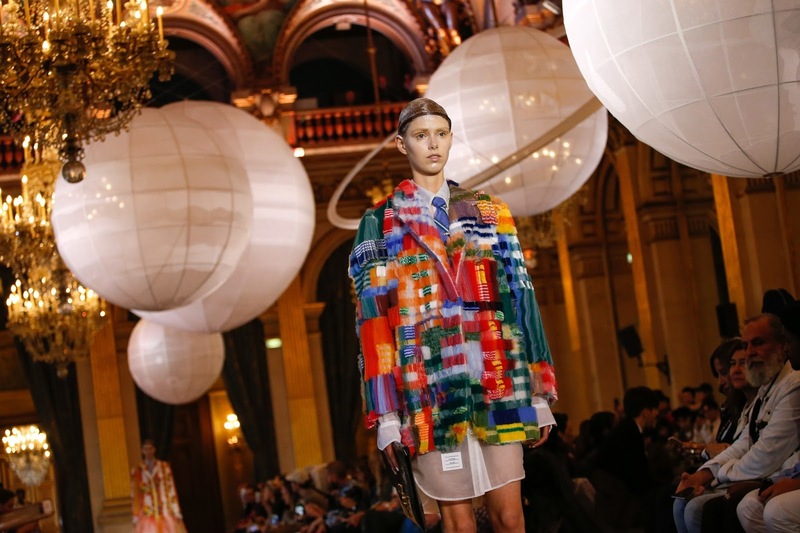 The resourcefulness of this collection reminded one of the tasks prescribed to fashion students. Oftentimes they are requested to design a collection that is entirely one colour, or making use of only one fabric. In certain cases, this is all some students can afford. It tests their creativity and urges them to push boundaries in order to pioneer. Browne employed that similar method with this show in which he used mostly tulle. Almost all of the outfits—their silhouettes bearing the Thom Browne signatures—were rendered in the featherlight fabric and played to the overlying dreamy aesthetic. The colourful fancies recalled the mesmeric Spring 2017 menswear show with its bird of paradise references, the grey suiting his Fall 2017 menswear outing. The self-referencing was mild, unobtrusive. It was subtle enough to pick up on without reducing the ground covered and innovation achieved with the tulle experiment. 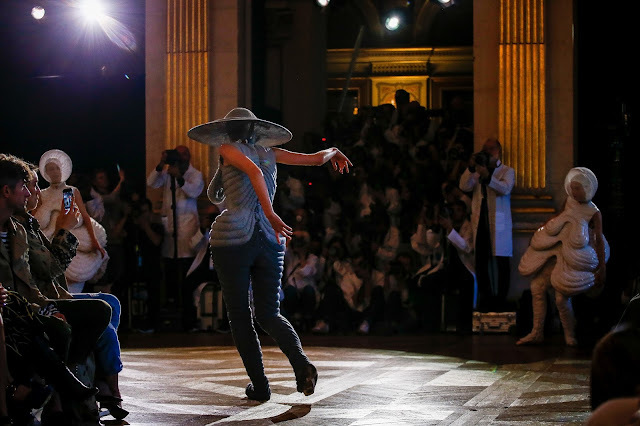 Browne’s womenswear presentations in New York never failed to amaze—he’s had haunting representations of Washington Square Park in the 1920s, a Japanese school, a two-dimensional dissection of suburbia. 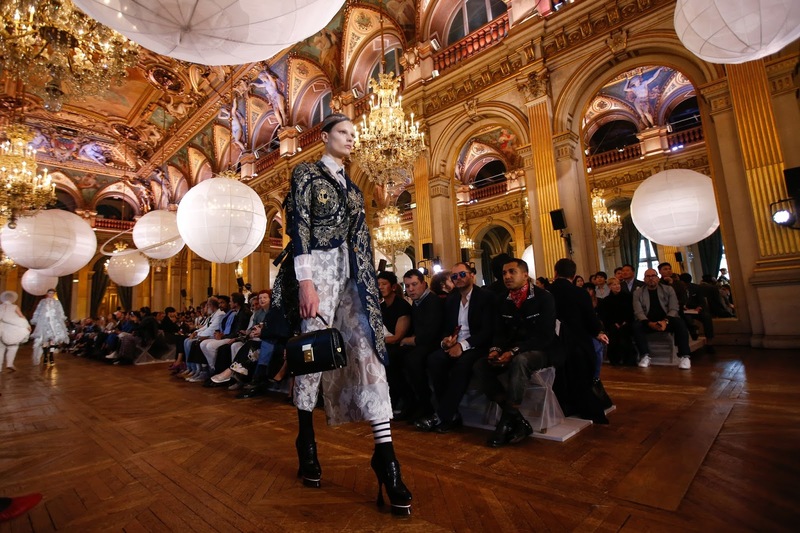 In Paris, in the baroque enclaves of the Hotel de Ville, there is a heightened sense of belonging. His dream/nightmare landscape had an air of the greater respectability that comes with the city in which it was presented. 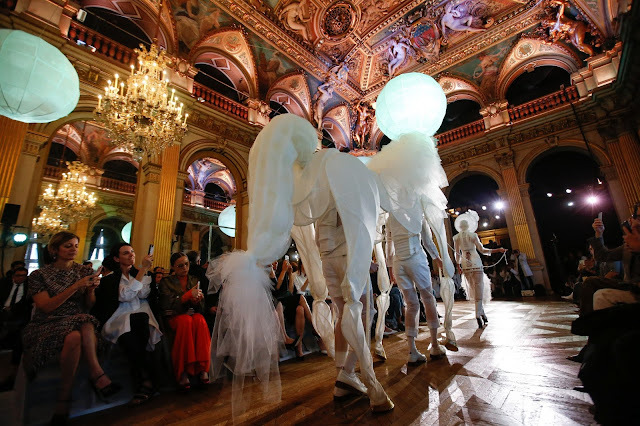 Instead of competing in the overcrowded and stagnating commercialistic market in New York, this Paris presentation was perhaps one of the most beautiful of the season. It was one that wished to transport the audience not only away from the usual venue in Chelsea to the 4th arrondissement but from the real world to a dreamland. He didn’t entirely lose touch of the world around us either, the nightmare portion of proceedings was undoubtedly an astute, lucid, mordant observation of the times.